These bunny rabbit water decals I am wearing cost $2.86; it is a set of 20 decals of five different designs. 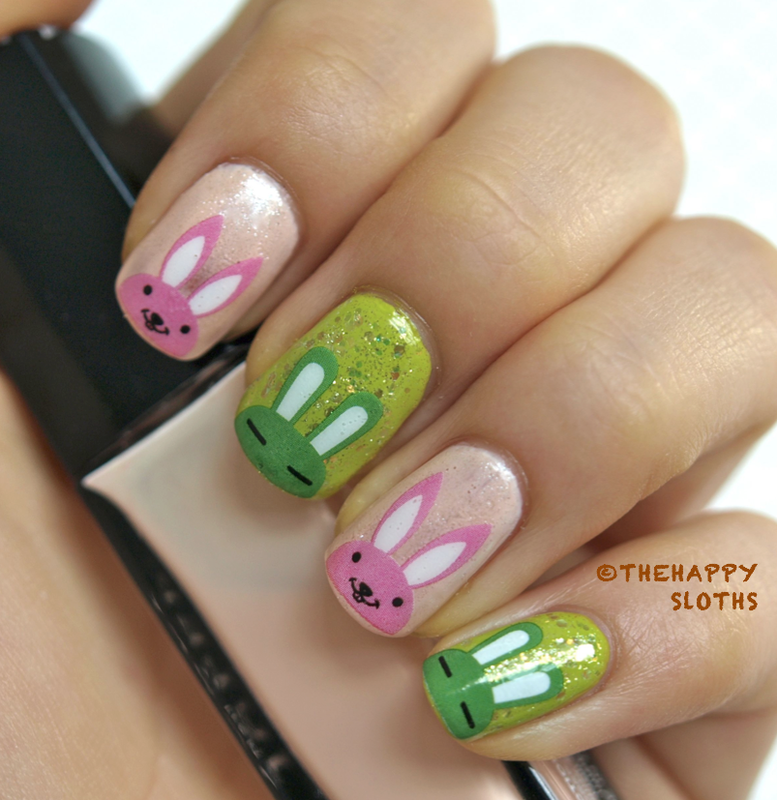 For my look I used the green and pink bunnies. 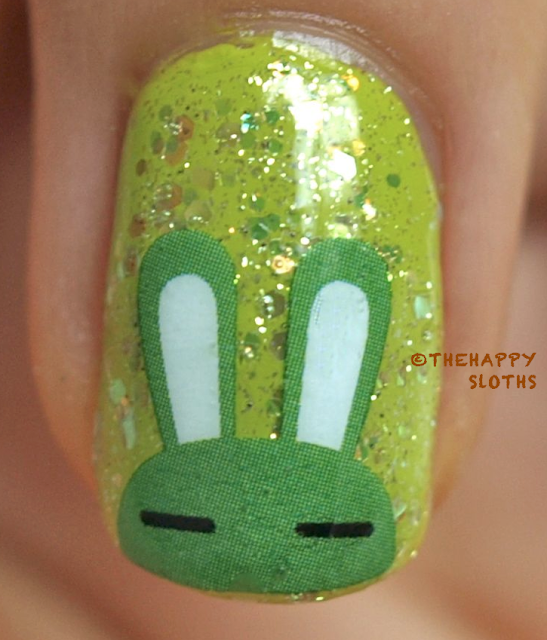 For the green bunnies, I applied the decal over a green Essence Colour & Go polish and a layer of "Make A Spectacle" from China Glaze. 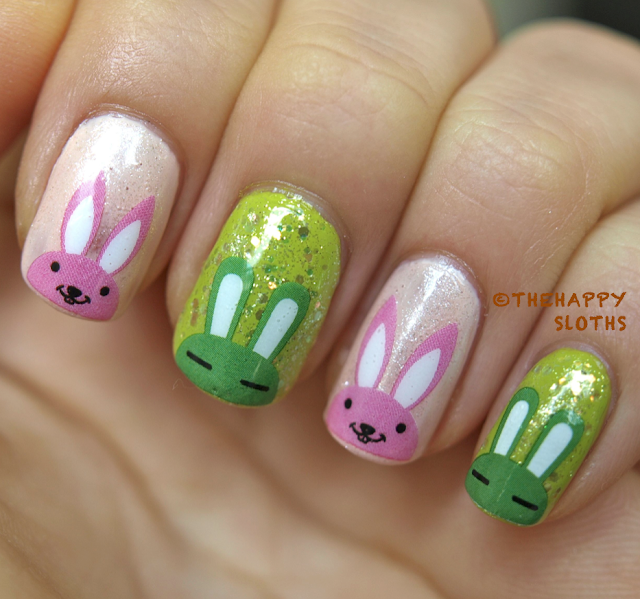 For the pink bunnies, I used "Whatever Lola Wants" from Deborah Lippman over "Kelly" from Julep. As always, these decals were super easy to work with and I was really happy with the look I achieved. 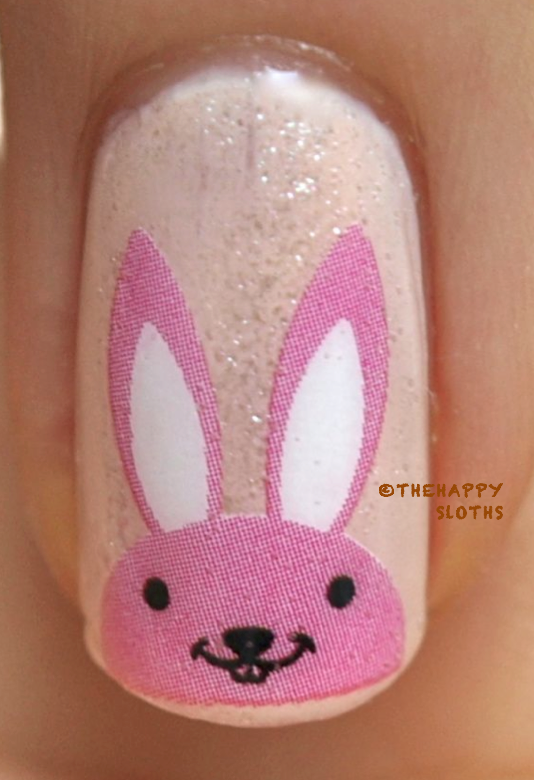 To check out this bunny rabbit water decal nail stick set and many other water decal nail art designs, click on the banner below! Also, if you use the coupon code VGL91, you can get 10% off of your entire purchase!